John Lennon once said, “A dream you dream alone is only a dream. A dream you dream together is reality.” I love the creative reality that emerges when two parts of our organization come together to make something magical happen. 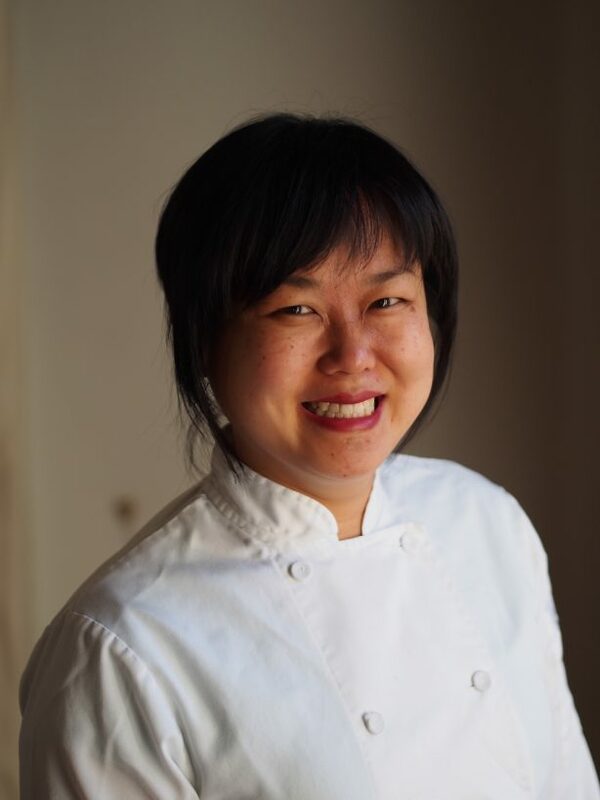 Like this—a special, never-happened-before event at the Roadhouse that will feature the amazing Ji Hye Kim, the managing partner and head chef at Miss Kim. While Ji Hye and her crew have built themselves an increasingly loyal (and vocally so—almost every day now someone stops me to say how much they love it) clientele for all the intricate and excellent flavors of traditional Korean food (some of it from centuries-old recipes), this special dinner will honor the food of the Korean-American community—a coming together of two rich culinary cultures to create a very memorable meal. While it happened seemingly by accident that this dinner was the 222nd one we’ve scheduled at the Roadhouse, the number itself is significant. In a Tarot deck, 222 is an “angel number,” which, for those in the numerological know, “resonates with ancient wisdom, vision, idealism, and transformation.” It represents creation, the beginning of new things, of something special happening. 222, it turns out, is timely: it’s spring, a new season. It’s also the beginning of Miss Kim’s ascendance to the reputation that syncs up with the quality of food the restaurant is already providing. Stephen Satterfield, the nationally-recognized writer and founder of the incredible, New York Times-recognized Whetstone magazine (available for sale at the Roadhouse) says, “to dine at Miss Kim is to taste [Ji Hye’s] taste memory, her learned and earnest love of recrafting the food from which she is constituted, adapted for the place in which she stands.” Ji Hye’s food, he goes on to say, is “hyper-local, very seasonal, and as much an approach to life as it is a bowl of food.” This dinner will also be a celebration of all the cool new stuff that’s happening at the Roadhouse. 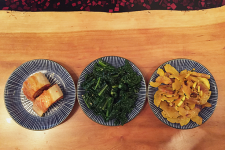 While she might have learned how to cook from her mom, Ji Hye learned how to cook “restaurant food” at the Roadhouse—this dinner is a chance for her to pay homage to her two culinary homes—Korea and the Roadhouse. The menu will feature dishes like LA galbi (marinated, BBQ-short ribs developed by Korean immigrants who settled in Los Angeles), a very special version of bibimbob that will feature Roadhouse pulled pork, mini burgers with quail eggs and napa kimchi, fries with tteokbokki and cheese curds, a special Roadhouse-inspired kimchi, a silken tofu stew, matcha chiffon cake from the Bakehouse, and more. See the full menu for the dinner here. 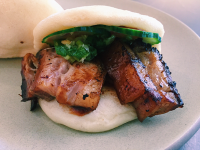 Join us for this special Korean-American meal! Tuesday, April 10 at the Roadhouse 7:00 pm $75.00. Seats are limited! Check out the full menu here.